Our showroom in one is one of the largest in the area. The concept behind our showroom is to give people the ability to see all your options and take the guess work out of home improvement choices. Our showroom, located on 838 Grattan St. in Chicopee, MA, offers you the ability to walk into fully designed custom kitchens, view 1,000's of samples from countertops, flooring options, cabinet options, accessories, fixures, facuets and much much more. - Samples for different materials available to see. 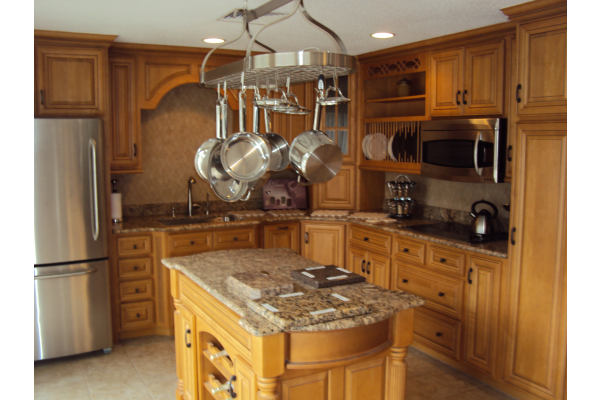 - Samples: flooring, cabinet door styles, countertops, granite options and more! - Full design Consultation available right in the showroom! - Design your space and see your vision become alive!